With a very kind donation from a person in Japan, I was able to send Savong more money for some lucky kids in his Cambodian orphanage. 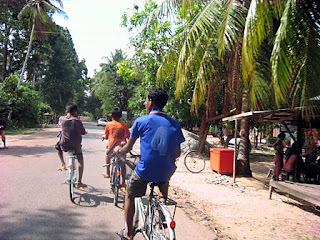 The money was earmarked for three bikes. 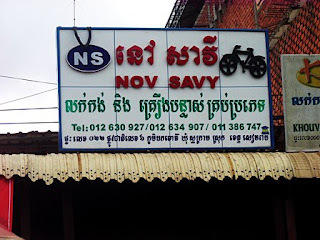 The same day that Savong received the money, he took the kids to the store. 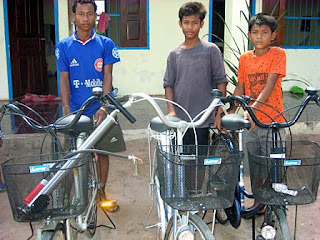 With the money, they bought three bikes and an air pump. It's amazing how easy this was. 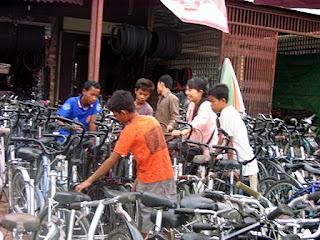 Money from Japan to California to buy bikes for kids in Cambodia. Technology is useful sometimes. I think the hardest part was trying to find parking in a crowded strip mall where the Western Union outlet was. Thanks again to Anneke, my email friend from Japan and her generous gift.